Dielectric Type – A major key on how to buy capacitors is checking the dielectric type. The dielectric determines size, package, frequency range and other electrical properties. Type of material affects the function of the capacitor, as different types of ceramic have different properties and performance levels. Aluminum electrolytic capacitors are highly effective when leakage is not an issue. Electrolytics are useful for coupling, decoupling and smoothing. Working Voltage – Make sure the capacitor has enough working voltage and that the normal voltage doesn’t exceed 60% of the working voltage. This amount of margin will ensure better reliability and that the capacitor is not over-worked. Package – The proper package, whether composed of traditional leaded components or surface mount types, should be determined by the manner in which the capacitor will be assembled. Surface mount components are useful for RF equipment due to lower inductance levels. Ripple Current – You need to consider the ripple current when purchasing capacitors for applications that use high current or when timing is a priority. 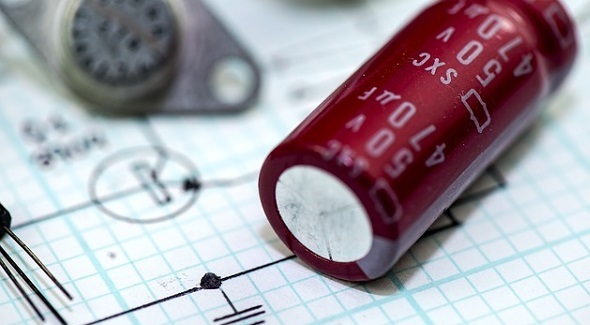 Selecting the right capacitor will save you time and money. It’s easy to get confused by the wide variety of capacitors on the market, as they are used in thousands of different electrical devices. Size, shape, material and positioning are key factors to consider in how to buy capacitors for certain applications. Ideally, you will purchase the highest quality capacitors at the lowest cost.